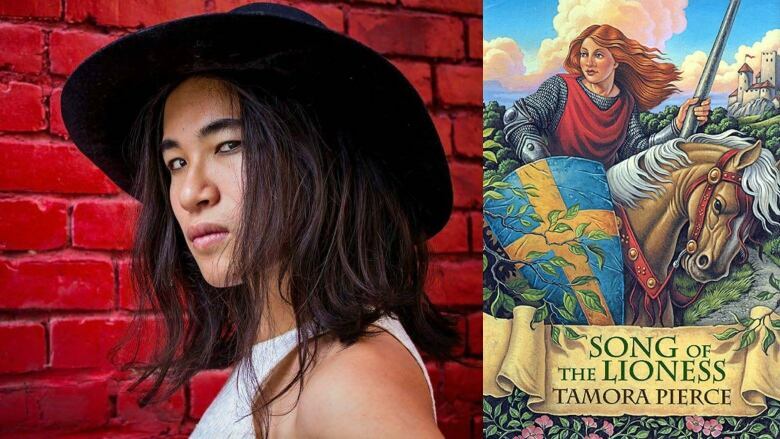 The author of the poetry collection, a place called No Homeland, talks about the role Tamora Pierce's YA fantasy series The Song of the Lioness played in her life. Kai Cheng Thom is the author of a place called No Homeland, a semi-autobiographical poetry collection that draws on her story of navigating identity as a Chinese Canadian transgender woman to explore topics like gender, race and sexuality. In 2017, Thom won the Dayne Ogilvie Prize for LGBTQ emerging writers. Below, she shares the book series that she continually revisits. This segment originally aired on March 5, 2018. "The young adult genre saved my life when I was a kid and to this day. There's a series of YA fantasy novels by Tamora Pierce called The Song of the Lioness, about a little girl who disguises herself as a boy to become a knight. It was one of the first of its kind to do so. That kind of story is much more common now, but those books came out in the 1980s and were groundbreaking in their own way." "There was something about the storyline that was — even though the character is not trans — very transgender, really feminist and subversive. I go back to that series about once a year and I get something different out of it every time. It's written for teenagers in the 1980s, but it reminds me that so much is possible, given a lot of courage and a little prevarication."